HomeNewsWhen is it Time to Redesign Your Website? When it comes to your website, we relate it to the inside of your store, shop or office. The feeling when you walk into a new restaurant, or a brand new store, the first thing you do is look around and judge the business on how it looks. Your website is much the same. It’s the interior of your store or office and the impression it gives off. If it’s outdated and “old looking,” then people tend to simply hit “x” and leave – if it’s attractive, functional and appealing people tend to stay. So I guess that begs the obvious question of this blog, when is it time to redesign your website? Well very simply, if you think it needs to be, then it probably does. 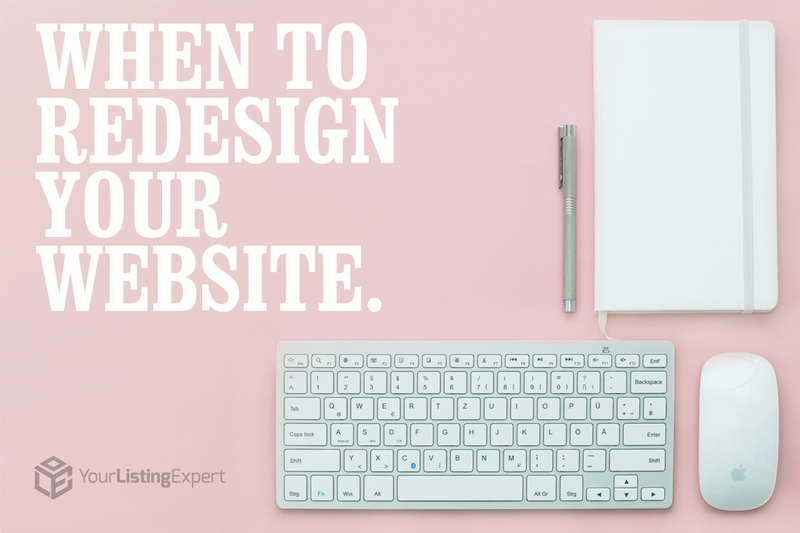 According to an article by Mark Brinker, it’s recommended you redesign your website every couple of years or so just like upgrading your cellphone. Keeping up with the modern day is going to be of utmost importance because if your website doesn’t look current and modern, it can be a turnoff or a sign to the consumer that you don’t care about your image. Here are three indicating factors that your website needs to be redesigned. The internet is a visual medium, where if your website looks outdated or isn’t all that attractive, people who come across it in this day and age, will simply exit the window and move on. If your website looks like the classifieds section gone wrong, then you need to look at upgrading. Your website shouldn’t be too overwhelming of a design, but it should be a blend of a couple of branded colours and flash enabled. The easier to read and understand, the more attraction your website has, like the image below. Functionality, next to the visual aspect of your website is an important factor. Albeit you may have a good website already, but if some links lag when you click or don’t respond at all, or text looks unorganized and isn’t easy to use, then you have a functionality issue. As mentioned before, it’s like a cellphone, you’ll get a couple of system updates over the year, and if you have the phone for two years, your phone is technically “three or four” stages behind. It’s the same for your site, as there are always new plugins, features, and additions coming into fruition each year within the technology world, so keeping your website with the times is essential. Functionality can even stream all the way to your website’s domain and URL. If your site accepts payment methods or any personal information input and is not secured (http:// rather than https://) it’s a huge turn off to the consumer, as all trust is broken between the consumer and that business. We live in a world where cellphones pretty much rule the world, so if your website isn’t mobile-friendly, your business will be ignored. A report from comScore stated that sixty-five percent of digital media time is spent on a mobile device. We predict in thirty to fifty years, people will be asking “what’s a desktop?” But the point is very clear, if your website doesn’t have smooth/clear mobile functionality – you need to, otherwise you’re neglecting a lot of potential new business. 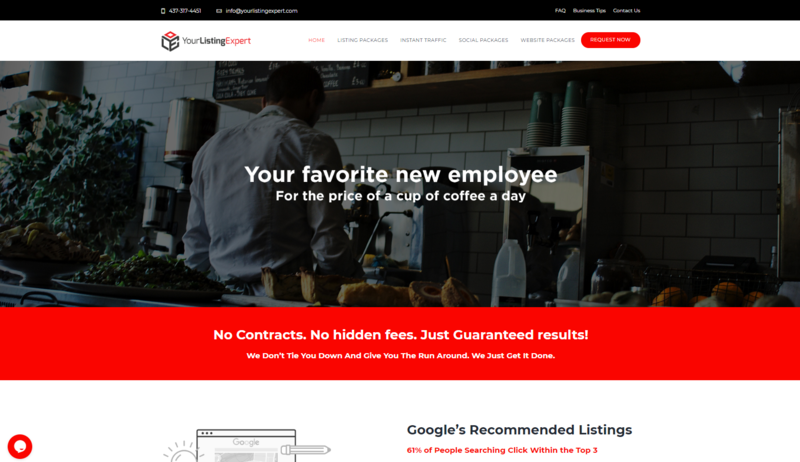 Our team of web nerds at Your Listing Expert have been developing websites for over twenty years, and recommend redesigning your website every two to three years at least. Any longer than that, you’re opening your business up to turning away potential customers for very easy-to-fix reasons, as plug-ins will become slow if not upgraded or won’t be compatible with newer coding, etc. So what does that mean? Working with us to look after your website and ensure it is up-to-date, attractive and functional. Every business has a unique identity – which we believe, should also reflect in its website design. That’s why, instead of a one-size-fits-all solution, we provide multiple website design packages that ideally cater to the needs of a wide range of small & medium size to enterprise level website design projects. Visit www.yourlistingexpert.com to find out more on how we can help take your website to the next level!